Some numbers recently came out supporting what looks like strong growth in consumer credit - quite an improvement from a couple of years ago. BusinessWeek: U.S. consumer borrowing rose in October to the highest level in two years, propelled by gains in non-revolving debt like auto and student loans. Credit increased by $7.65 billion to $2.46 trillion, the most since October 2009, Federal Reserve figures showed today in Washington. The advance was in line with the median forecast of economists surveyed by Bloomberg News that projected a $7 billion gain. The good news here may be that lending from banks, credit unions, and finance companies must have markedly improved in the US. Let’s first take a look at the growth in revolving credit (credit cards, etc.). 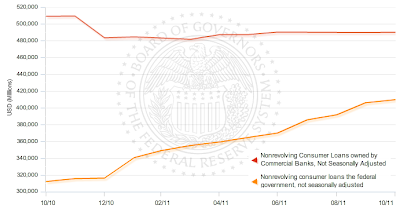 As the chart below shows, the revolving credit component has basically been flat over the quarter. 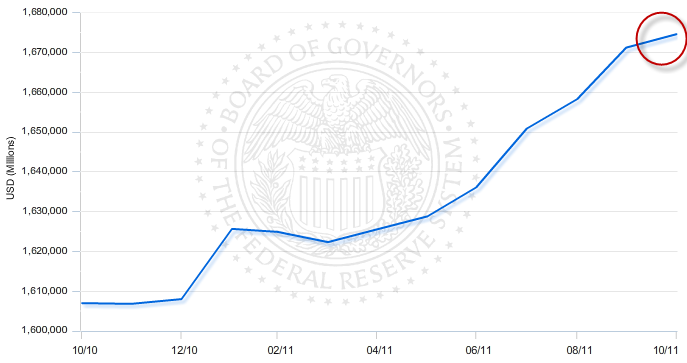 That must mean, as the BusinessWeek story points out, that the increase came from non-revolving credit. The next chart shows it to be the case indeed. Now we are getting somewhere. The next obvious question is who exactly is providing non-revolving credit to consumers and what has been the longer-term trend. The next chart is quite informative. 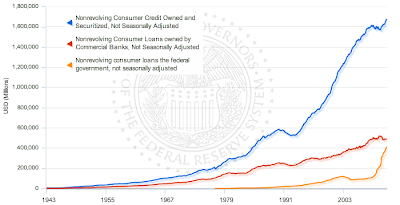 It turns out that growth in consumer credit is very much driven by the federal government and not by banks whose non-revolving loan ownership has been constant. 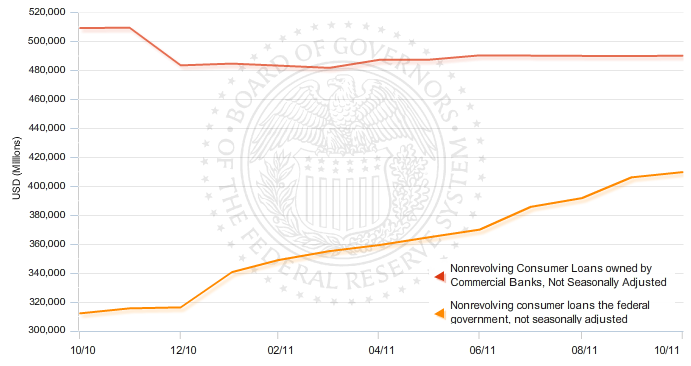 To put things in perspective, here is a longer period chart showing total non-revolving credit as well as that provided by banks, and by the US government. 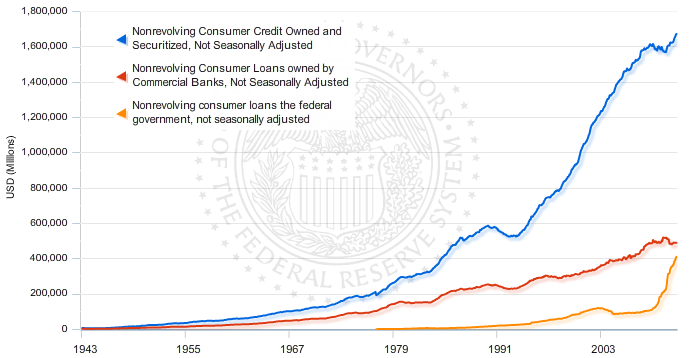 Note that some of the growth in consumer credit in years past and recently was achieved via ABS securitization (not shown on the chart), but that certainly does not explain the full move in consumer credit. 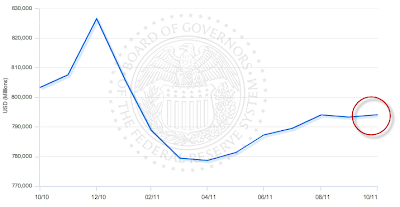 Where is all that government sponsored non-revolving consumer credit coming from? Uncle Sam is generally not in the business of providing car loans, so that leaves government sponsored student loans. The table below shows the increases in student loan activity by the US Department of Education. Consumer credit is indeed increasing at a nice clip, but it seems to have little to do with any easing of credit at banks and much more to do with US government sponsored programs.